This Eden point was found on the Finley bison kill site in Sweetwater County near Eden, Wyoming sometime in the 1940's. Although broken it's a good example to show very uniform collateral pressure flaking and the diamond cross-section of a skillfully made Cody Complex Eden point. This point was broken from impact which caused a bend-break type of fracture. 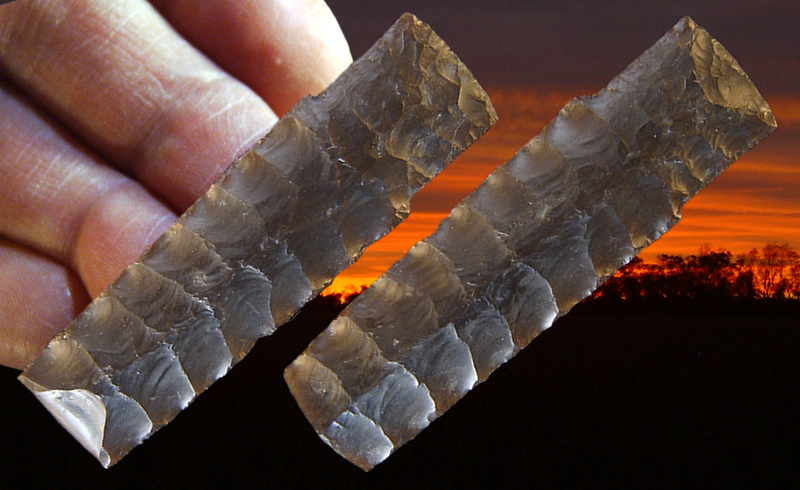 It's made from a semi-translucent dark amber colored chert and measures 2 5/16 inches (5.9 cm) long.